From old time games like Pin ball and Pacman to more recent game like DDR these arcades in MA have all of the games that you could possibly want to play. When you come to one of these arcades in Massachusetts you will be entertained for hours, guaranteed! 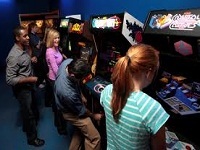 You can also find arcades and family fun centers that offer parties in MA by visiting KidsParties.Party. You can also use them to find awesome laser tag arenas that offer parties. The fun provider, Fun and Games is providing quality entertainment for your entire family since 1974. 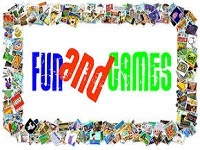 Fun and Games always tries to provide the latest and most amazing entertainment to customers. So they change their fun events almost every day. Fun and Games has been the choice for local families for nearly 40 years. If you enjoy an afternoon of fun with family and friends in a clean and safe environment, Fun and Games can be the best destination. 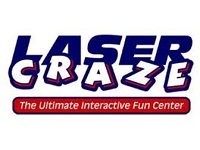 LaserCraze is one of the largest game spots in MA. It has two locations in MA and both are offering a lot of amazing games to play. The locations are North Andover & Woburn. LaserCraze is actually a place to enjoy an awesome arcade with fantastic prizes, the inflatable fun-filled Adrenaline Zone, the most advanced laser tag system in the world played and many more amazing games. If you want to play the most exceptional and amazing games, LaserCraze can be the perfect choice. Ryan Family Amusements offers a verity of arcade games to play. Playing arcade games is always fun for all ages of people and they offer the best arcade games for you. They ensure a wonderful gaming environment and lots of fun things to enjoy. Here you may have fun with many other games and entertaining things, especially for kids the place is truly awesome to have fun and learn. To play the newest and coolest arcade games the place is truly awesome. You may visit their webpage for more info even to know more about their gaming tools. North Bowl Lanes is a wonderful place for arcade gaming. 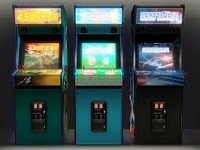 They allow you to enjoy 31 brand new arcade games with new game rooms and more to play and have fun with. The place is open daily from 9:00 am to midnight. People that love gaming or want to have fun with friends and buddies may join North Bowl. They also offer to arrange birthday parties and more with their amazing arcade games. You may check out their webpage to know more about their collection of games. Acton Bowladrome & Arcade presents some of the best and coolest arcade games to play. They stay open Monday and Tuesday from 9:00 am to 10:00 pm, Wednesday to Saturday from 9:00 am to 11:00 pm and Sunday from 9:00 am to 9:00 pm. They offer over sixty games including a variety of arcade games, they even offer parties like birthday parties and more. You may check out their webpage for more info or contact them for more details. 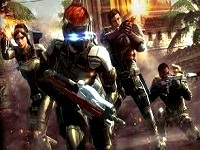 BattlegroundZ.net is the best place to play and enjoy arcade games. 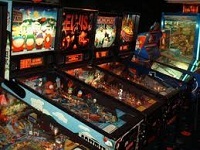 They offer a huge collection of arcade games and many more games to play and have fun with. The place is in-fact open 7 days of the week. For gaming parties, birthday parties even for any other entertaining kiddie parties you may also rent the place. They also have laser tag, pinball and more to play. For detailed info about BattlegroundZ.net you may visit their webpage or contact them. They ensure you the best gaming environment to enjoy your favorite arcade games.